I can’t say this month is going quickly – but at least it’s going. It all started swimmingly, of course, with early mornings and white-on-white writing and 2000 words every day in time for breakfast. Then on 10 November the Chess World Championship chess match in Chennai began. It’s hard to have two major hobbies on top of a day job and a family. As #NaNoWriMo and #AnandCarlsen vied for attention, my word count suffered. Today Magnus Carlsen is being crowned the new chess World Champion, and my mind is returning to Timbuktu. The current word count is 37,442. 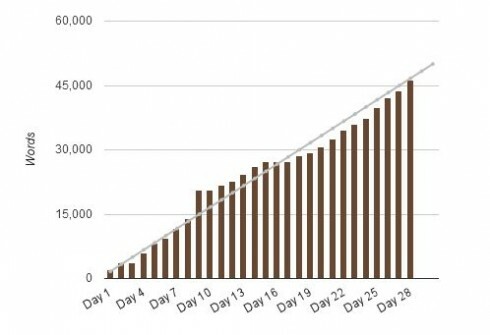 If I can write 2000 words every day this week, I will have completed the first draft of SCROLLS and be a NaNoWriMo 2013 winner. If not, I will wear sackcloth and ashes until Christmas. I am enjoying the process, in spite of early mornings and sore eyes. On my good days I think the first draft is turning out rather well. Even on my bad days I don’t think it’s entirely horrible. I like it when characters and events collide unexpectedly in ways I had not foreseen in the chapter outline. I am a firm believer that a novel outline should not be exhaustive – you need to leave space in your plot for unanticipated magic. I am also happy to be experimenting with a new genre – new to me, I mean. SCROLLS is historical fiction. There are thriller elements, but there is also romance. 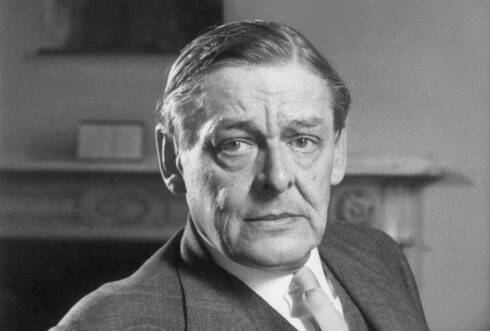 As an author more at home with spies, kidnappings and improbable gadgets, I am relishing this new departure into a world of lingering glances, balcony scenes, impassioned soliloquies and other blissful nonsense. Can I reach 50,000 words by 30 November? With a busy week coming up, I genuinely don’t know. Call back here next Sunday to share my jubilation or misery. NaNoWriMo Day Fourteen: why am I doing this? My eyes are dry and bloodshot. Getting up at 3am every morning for a month is taking its toll. My wordcount is 26,059, which is about where I should be with half of the month gone and half remaining. But it’s taking longer than before. Instead of finishing my words by breakfast time, they hang over me all day. Writing white on white has gone out of the window, and the inner editor is back with a vengeance, mocking every sentence in its sardonic drawl. 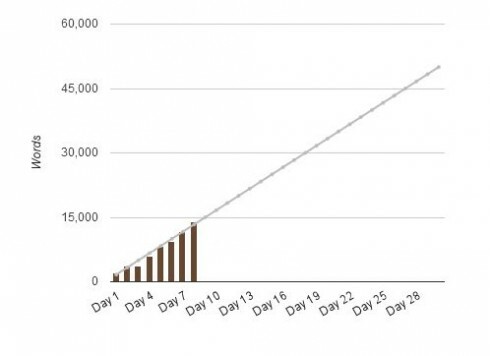 Whose idea was NaNoWriMo anyway? Posted on November 14, 2013 January 14, 2016 Categories Writing TipsTags NaNoWriMoLeave a comment on NaNoWriMo Day Fourteen: why am I doing this? Yesterday I wrote about the pros and cons of writing white on white. There is a piece of word processing software which has most of the pros of white-on-white and none of the cons. iA Writer has a focus mode which dims all the words you have previously written, apart from the sentence you are currently working on. I would very much like to use this software for doing first drafts. iA Writer is only available for Macs, iPads and other Apple gizmos. There are no plans to release a PC version. So I can’t use it. My alarm failed to go off at 3am this morning (I must have disabled it last night by accident). However, my NaNoWriMo guilt instinct woke me at 3.20 and I was able to rack up 1,500 words by breakfast time. All in all, today was a very good writing day: 2,250 words. I wrote a lovely scene involving a potato cannon, which I suspect will survive more or less intact in the final version of the novel. 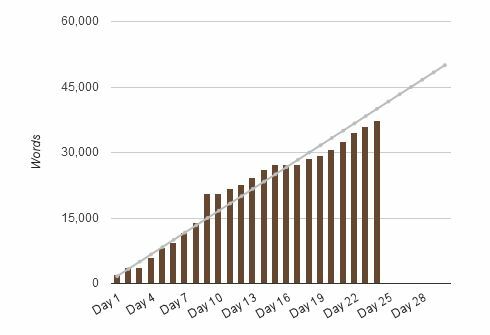 That brings my NaNoWriMo wordcount to 13,800 – more than a quarter of the way there. Hooray, hooray, this is going better than I thought. The weekend will be a challenge. I don’t write on Sundays, so the pressure is on to stack up a good pile of words on Saturday (tomorrow). I’d better double check that my alarm is set. Joanne Harris once tweeted this #writetip: Change your font colour to white if you want to write more fluidly. Brilliant tip, albeit with a few disadvantages! You can get a lot of words written, because you’re not constantly going back to edit. It’s very restful on the old mince pies because you can turn the screen brightness all the way down and can let your eyes go out of focus. If you can touchtype you can even close your eyes – so long as you’re not in danger of falling asleep! A perfectly white page is very zen. There are still potential distractions. The worst are the squiggly red and green lines produced by the background spelling and grammar check (turn them off). There’s also the toolbar across the top of the screen (hide it by using Full Screen Document View). 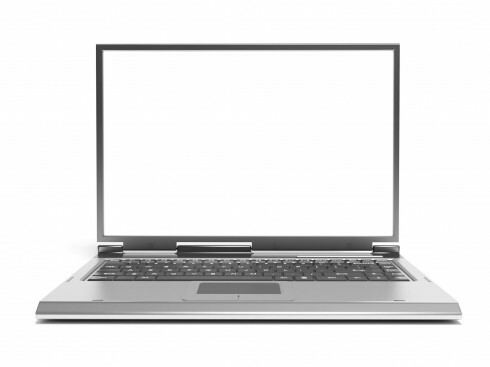 A totally blank screen is a tad boring – a waste of perfectly good pixels. There is something reassuring about seeing the words you are writing. Not just reassuring, but beautiful as well. Words look good. Autumnal. Flugelbinder. Trapeze. Black on white has its uses. You can get a lot of words written. NaNoWriMo status update: I’m hanging in there – just – at 11,592 words. Novel Writing Collateral Damage (NaNoCoDa?) is a very real phenomenon. ZoFaDuBre – Zombie Face During Breakfast – is proving another problematic aspect of November. The urban dictionary defines book hangover as When you’ve finished a book and you suddenly return to the real world, but the real world feels incomplete or surreal because you’re still living in the world of the book. If it’s true of reading, it’s even truer of writing. After four hours in Salafist-occupied Timbuktu every morning, it is difficult to concentrate at breakfast. ‘Is there salt in the porridge?’ asks my wife. If a blind man’s salt falls among stones, goes the Fulani proverb, he will lick everything he picks up. 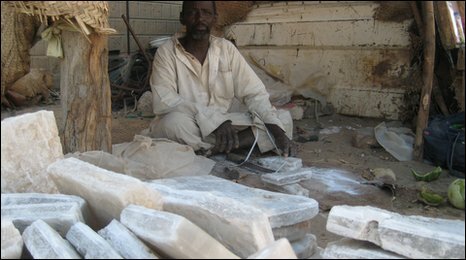 The Sufi saint Sidi Ahmed ben Amar was in debt to a local merchant, to the tune of three camel-loads of salt. One night in the year 1456 he began to pray earnestly that God would help him repay the debt, and as he prayed, slabs of salt began to fall from the sky. They fell so hard and fast throughout the night that they made a crater in the ground outside his house. You can see that crater in Timbuktu to this very day – the Crater of Takaboundou. Bertie Wooster’s inimitable manservant Jeeves had an eye-poppingly effective hangover cure made from Worcester sauce, tabasco and raw egg. I wonder what he would whip up for the NaNoWriMo-induced book hangover. 6004 words down, 43,996 to go. I’m a bit behind where I should be, but that’s because I’m taking Sundays off. Hoping to catch up during the week! The early morning writing session is working well for me. I get up at 3am, have a cup of coffee with Benoit (our night guard) and then start work. This morning I had finished my 2000 words by 7am, just in time for breakfast with the family. It sounds unbearably smug, but I do love the stillness and silence of the early morning, interrupted only by the call to prayer from our local mosque at 5am. And since my new novel is set in Timbuktu, even the prayer call does not jolt me out of the zone. I’m thinking I may carry on the early-morning-writing thing even after NaNoWriMo is finished. The idea of doing most of the day’s writing before breakfast came from this book: daily Rituals: How Artists Work It’s a collection of anecdotes about famous artists (writers, musicians, painters) and their muses. Surprising how often caffeine and early mornings are mentioned! It’s that time of year again. 50,000 words in 30 days. And today is Day One. I love writing, but I have always struggled with fluency – letting Left Brain loose on the keyboard without suffering constant interruptions and criticism from Right Brain. 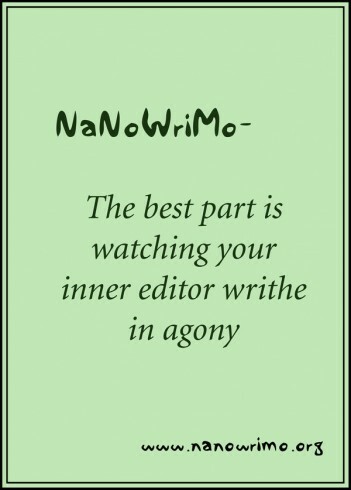 That’s why NaNoWriMo is so great. It’s all about producing a first draft – a pile of words out of which something beautiful can later be crafted. When I visit schools I sometimes recommend National Novel Writing Month to students. Writing a novel seems daunting, but NaNoWriMo provides the perfect way to face up to the task in a fun, non-threatening way, in the company of many thousands of other people. I hope that some of the students I’ve met in the last couple of years might take up the challenge this year. In preparation for NaNoWriMo I have spent a lot of time thinking about the characters and getting to know them. Plot flows from character. If you know your characters well enough, you’ll be able to put them in difficult situations and watch them do and say stuff, and spark off each other in interesting ways. This morning I set my alarm for 3am, got up and wrote solidly until 6am – 2000 words on one cup of coffee. I set my font colour to white so that I would not be able to see the words I was writing. If you can’t see them, you can’t change them! Yes, the inner editor was writhing. But the inner creator was glowing with happiness.